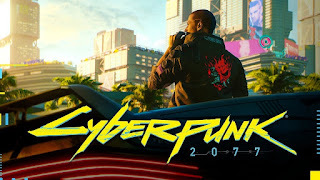 During the Xbox E3 conference, Cyberpunk 2077, the next major project from CD Projekt Red, best known for its work on the Witcher series got a new trailer. The game takes place in the most violent city in America. There’s a major class divide that pits the extravagance of the entertainment and pleasures at hand against the stark poverty of most of its citizens. With the help of some crowd-sourced detective work, the folks at Eurogamer revealed a whole letter from CD Projekt Red hidden within their new Cyberpunk 2077 trailer. "It's been over 2077 days since we announced our plans to develop Cyberpunk 2077," the letter starts. Mostly a statement of intent to players, CD Projekt Red writes that it only wanted to talk "when we have something to show." Within its thanks and explanations to fans, CD Projekt Red does reveal several key aspects of the game. Most notably, they say that "you'll be able to create your own character," a departure from the Witcher's singular protagonist. They also write that it's "seriously big," and that microtransactions in a single-player RPG would be "nuts." Still no release date, but they promise more details on the show floor.